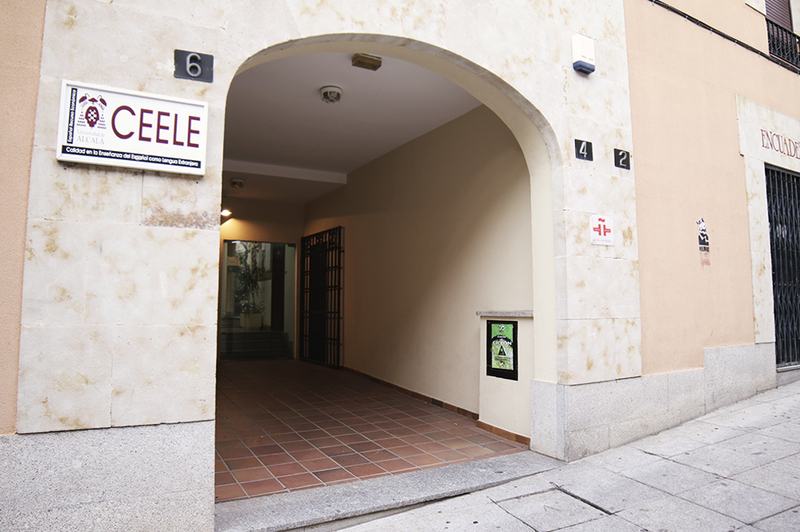 Just a five-minute walk to Salamanca’s main square in the heart of the city, Plaza Mayor, the school is a renovated 16th century convent boasting modern facilities spread over 58,000 sq ft. 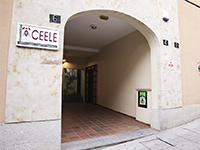 The beautiful architecture of the historic building opens up to a beautiful cloister at the entrance of the building. 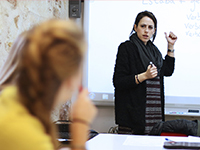 Be inspired by our wonderful teachers who are passionate about helping you learn Spanish with ease. 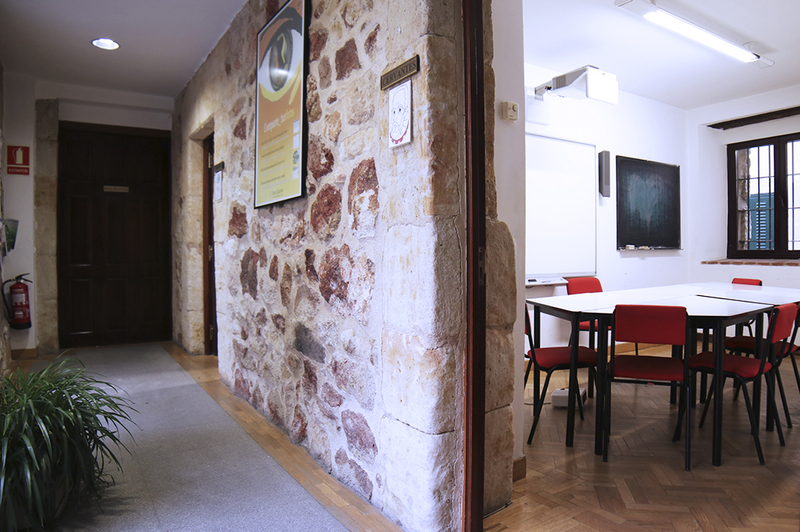 Take advantage of the school’s free Wi-Fi, computer room and large common area to relax, meet new friends from all over the world, study and prepare to explore this wonderful city. 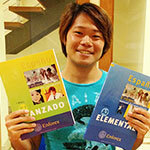 Jario Barbosa da Silva My stay was perfect in Spain studying at Enforex. I had a great time during my 12 weeks. It is a very well prepared institution. Living and learning Spanish in Salamanca is like being transported to another era: the entire city center is plastered in golden, historic buildings dating as far back as the 13th century, the moment of ascendancy of a place that for the rest of the second millennium would feature as the most distinguished university town in the entire peninsula. To this day, Salamanca counts among the most reputed learning centers in the country, which, in turn, explains the huge concentration of students (roughly 30,000 of them) in what is otherwise a relatively small city (roughly 150,000 people). Therefore, a bustling, young population provides the perfect environment to enjoy a productive spell in this city of culture par excellence, learning the language. Which is precisely where our school enters the equation: blending right into the architecture of the city, our Salamanca venue is located in a converted convent, which provides it with the quaint candor of its facade, while indoors the modernized facilities are spread over a property of 5,420 square meters, with a lovely central courtyard. 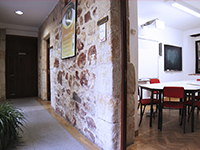 Enjoying the best of both worlds, old and new, our students will be able to take advantage of our many amenities, such as a fully equipped computer lab with free Internet and wireless connection throughout the building, spacious sporting areas and communal rooms where to carry out their research, relax or socialize, all within the unique environment of a historical building. Furthermore, the archeries around the courtyard, and the yard itself constitute a remarkable sample of traditional religious architecture, which, in turn, was often adapted in civil constructions in Spain, where the internal patio and the corridors around it that link it to the building provide a constant source of fresh breeze and a sheltered area where to enjoy the best of the weather. 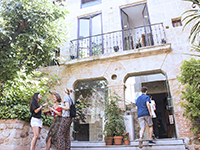 With 30 classrooms, and as many as 60 during the summer months, the Enforex Spanish School in Salamanca is constantly servicing a large community of students from all over the world, who come to Salamanca for the many quality Spanish courses on offer, lured by the deep-rooted tradition of learning that exists in the city, such that a melting pot of cultures, traditions and languages brews spontaneously, allowing our students to learn much more than just grammar and pronunciation: a spell in Enforex Salmanca is much more than a language course, it is a lesson for life! One of the most important incentives when it comes to learning a foreign language is to find a theme, subject or activity related to such language which might help us remain focused and hungry for more. 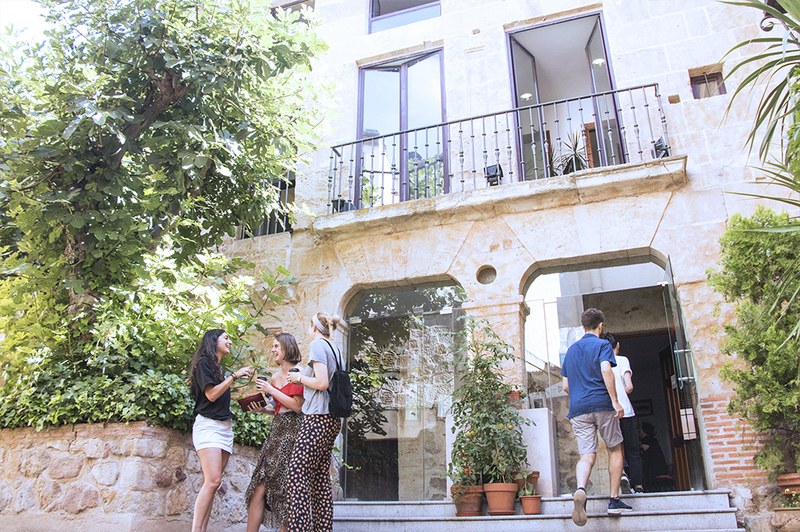 To that end, we have designed a wide array of combined courses where diverse interests can be combined to make the Spanish learning experience more fruitful and fulfilling. 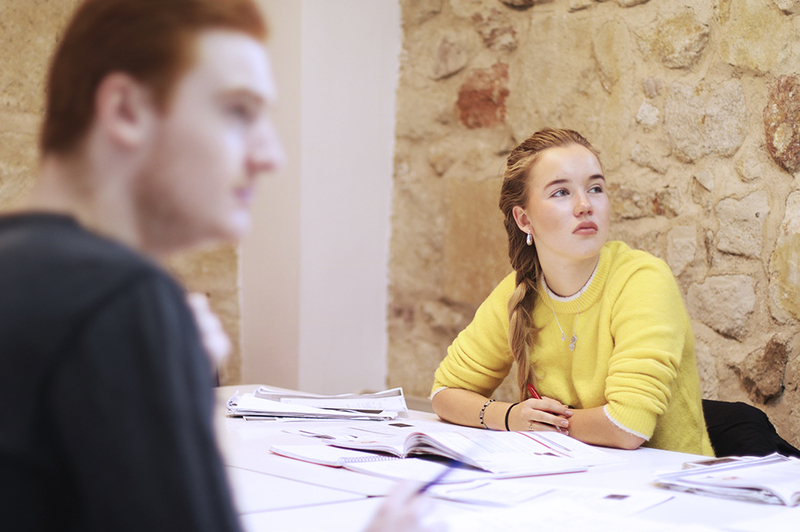 On an entirely practical level, we have introduced business and executive courses, specifically tailored for the requirements of the sectors in question. Nevertheless, our courses are not only conceived for those who wish to exploit to the limit the pragmatic aspect of the language, but also for more idle or artistic minds with a keen interest on the history, the literature or the art history of the country – because if there is one place suited to look at those aspects of Spanish culture, it is Salamanca. We have mentioned already the prevalence of the most distinctly Spanish artistic tendencies, Churrigueresque and Plateresque, in the urban landscape of Salamanca but, in terms of history and literature, the city has been equally important: from the establishment of the university at the beginning of the 13th century, just the second university in Spain (after Palencia) and, after Oxford, Paris and another handful, one of the few in Europe, to the long-lasting relationship Miguel de Unamuno, one of the most influential Spanish writers and philosophers of the 20th century, held with the university and the city, Salamanca has an inexhaustible cultural tradition which you would be ill advised to bypass. 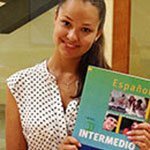 Program specifically tailored to the needs of students who are looking to study at University in Spain.